Quality Water Specialists Protective Aprons help to stop cross contamination of uniforms whilst either treating patients in surgery or going about your daily decontamination tasks. Flat Aprons in packs of 100. Quality Water Specialists Protective Aprons help to stop cross contamination of uniforms whilst either treating patients in surgery or going about your daily decontamination tasks. Flat Aprons in packs of 100. Quality Water Specialists Protective Aprons help to stop cross contamination of uniforms whilst either treating patients in surgery or going about your daily decontamination tasks. 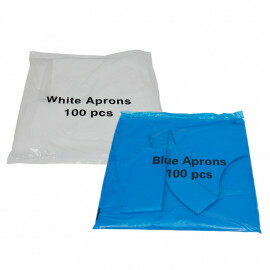 Case of 10(100) Flat Aprons. Quality Water Specialists Protective Aprons help to stop cross contamination of uniforms whilst either treating patients in surgery or going about your daily decontamination tasks. Case of 10(100) Flat Aprons. Quality Water Specialists Protective Aprons help to stop cross contamination of uniforms whilst either treating patients in surgery or going about your daily decontamination tasks. Quality Water Specialists Protective Aprons help to stop cross contamination of uniforms whilst either treating patients in surgery or going about your daily decontamination tasks. Quality Water Specialists Protective Aprons help to stop cross contamination of uniforms whilst either treating patients in surgery or going about your daily decontamination tasks. Case of 5 Apron Rolls. Quality Water Specialists Protective Aprons help to stop cross contamination of uniforms whilst either treating patients in surgery or going about your daily decontamination tasks. 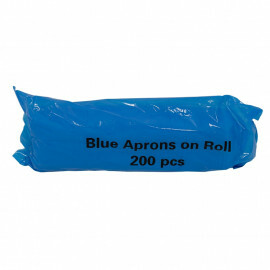 Case of 5 Apron Rolls.